Wael Ghonim, the Head of Marketing of Google Middle East and North Africa was quoted by the media, saying that he and others in Egypt planned the demonstrations which began on January 25th. Their demands were simple – for Mubarak to relinquish power after 30 years in office. Their weapons – Google, Facebook, Twitter and other blog sites, which were all widely used to organize the protests and rally the people of Egypt. On January 26th, the Egyptian government, began restricting access to Facebook and Twitter in an effort to disrupt communications and suppress the voices behind the protests. At that point, Google stepped in and worked with Twitter on a work-around, allowing people in Egypt to phone in messages which were then converted to Tweets and posted – their voices would not be suppressed. On January 27th, Wael Ghonim disappeared. Many bloggers campaigned in an attempt to identify his whereabouts. Google, Amnesty International and others also stepped in, demanding to know his whereabouts. It was later confirmed that he was being held in solitary confinement by the Egyptian government, made to wear a hood over his head the entire time. 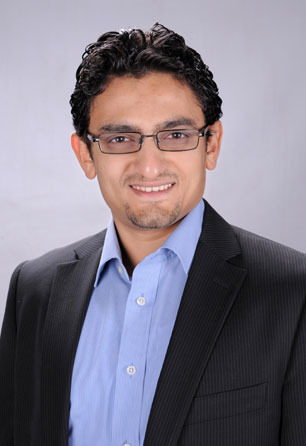 Ghonim was released on 7 February, after 11 days in detention. Upon his release, he was greeted with cheers and applause when he stated: “We will not abandon our demand and that is the departure of the regime” Later that day Ghonim appeared on Egyptian TV, praising protestors, mourning the dead and rallying all to continue their efforts to oust Mubarak and his regime. A widely anticipated announcement by Mubarak on February 10th disappointed many as he said he was not stepping down. This statement had perhaps the opposite of the intended effect. The rallies and protests grew larger and louder than ever before, the social media-sphere was buzzing with activity, and on February 12th, it was announced that Mubarak had finally stepped down and left Cairo. Similar scenarios have been reported in Tunisia and Sudan, with more people in more nations than ever before leveraging the full power of the internet and social media to drive monumental changes in their respective countries. It is very clear that the internet and social media have an important role to play in the future of our global society from this point on. In a very short time, relatively speaking, we have come a long way from the days when people made fun of social media and how it was simply a way to find out what Ashton Kutcher was having for breakfast, or how Justin Bieber was feeling or what Lady Gaga was angry about. This entry was posted in Digital Marketing, Social Media by Steven Copertino. Bookmark the permalink.